The quality of training a student receives is crucial for them having a successful and fulfilling career in the hair industry. That’s why I’ve invited Andrew Barton back on to the show today. We’re about to dive into the ABLE (Andrew Barton London Education) training programme thats been created by Andrew, and which is all about being inspirational, motivational and empowering for both students and training providers alike. 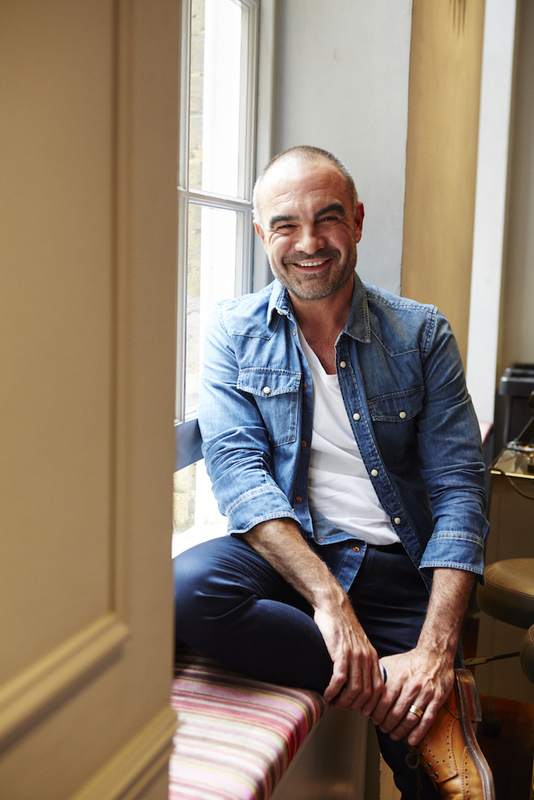 One of the UK’s most celebrated hairdressing names, Andrew is committed to hair education. He works tirelessly to promote its export, success and cares passionately about the industry and nurturing the next generation of hairdressers. That’s why the next chapter in Andrews hairdressing story would naturally see him move further towards enhancing the training that Further Education colleges gives to it’s students. Andrew is to share on the show today why he’s created the ABLE programme, and how it’s providing a series of support tools that is equipping the student with extended learning and broadens their skills set with industry inspired standards and practices. And since our last interview with Andrew – back in Episode 3, we’ll also be learning about his move as Creative Director at Urban Retreat to now heading up this role for the highly acclaimed Headmasters salon group. Never one to stand still, Andrew is a hairdressing figurehead who has – and continues – to give so much to the hair industry. Now with improving the standard of training in the hair industry at the forefront of his future plans, we can feel confident that he will be elevating hairdressing training standards. This episode is crucial listening for those of you who want to join his crusade, too. That should include you, let’s dive in! Special thanks to Andrew Barton for joining me today. Until next time, Peace, Love and Smiles all the way… Goodbye! One of the UK’s most celebrated hairdressing names, Andrew’s work graces global magazine from cover to editorial, TV Campaign to print advertising and is on speed dial to the British beauty press for his hair authority. The figurehead of his own hairdressing empire with an award-winning signature hair care range and electrical tools, Andrew has led creativity and education for some of the UK’s most celebrated and successful hairdressing salon brands including Toni & Guy, Saks Hair and Beauty, Urban Retreat at Harrods and is now Creative Director for the highly acclaimed Headmasters salon group. A voice for British hairdressing Andrew travels the world sharing his signature hair philosophy presenting hair education and works tirelessly to promote its export, success and cares passionately about the industry and nurturing the next generation of hairdressers.